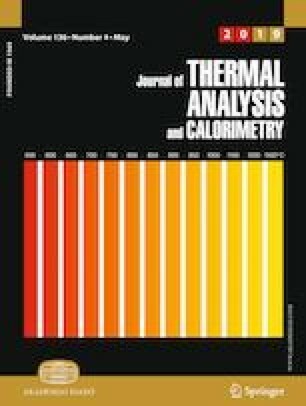 The cleavage behavior of covalent bonds in Xilinguole (XLGL) lignite and changes in chemical structure of lignite and its chars during low-temperature pyrolysis were investigated by thermogravimetric (TG) analysis and Fourier-transform infrared (FTIR) spectroscopy. Based on the TG and differential thermogravimetric (DTG) analysis results, the cleavage of different types of chemical bonds in lignite occurred mainly at four certain temperatures, 170 °C, 376 °C, 432 °C, and 521 °C. The latter three were selected as the final pyrolysis temperatures of chars evaluated in this study. The FTIR analysis results indicate that thermal treatment increased the relative content of two and three adjacent H deformation structures but decreased that of four adjacent H deformation structure. This was caused by the cleavage of Cal–Cal and Car–Cal bonds. The oxygen-containing functional groups in lignite are dominated by C–O and C–OH groups with a lower chemical reactivity than C=O–C and conjugated C=O groups. Moreover, XLGL lignite has the highest ratio of CH2/CH3 which declines with increasing temperature, indicating the decrease in the length of aliphatic chains and increase in the degree of branching of aliphatic side chains. This change mainly resulted from the cleavage of Cal–O, Cal–Cal, and Car–Cal bonds. Furthermore, XLGL lignite and its chars contain five specific hydrogen bonds: OH–N, cyclic OH, OH–ether O, OH–OH, and OH–π hydrogen bonds. The relative content of OH–OH hydrogen bond was the highest, indicating that OH–OH hydrogen bond has the highest thermal stability. This work was funded through the support coming from the National Natural Science Foundation of China (No. 51676032 and 5176034) and Program for Changjiang Scholars and Innovative Research Team in University (No. IRT-17R19).